There were 369 plastic-backed refrigeration models listed when we checked the websites of the four biggest retailers on 21 January 2019. Since we alerted retailers to our findings, they have told us they have made some progress in reducing that number. But we estimate that the total currently stands at between 148 and 241 plastic-backed models still on sale. Our own testing has found plastic backing to be extremely flammable and, in the event of a fire in your home, can dramatically accelerate the spread of flames. 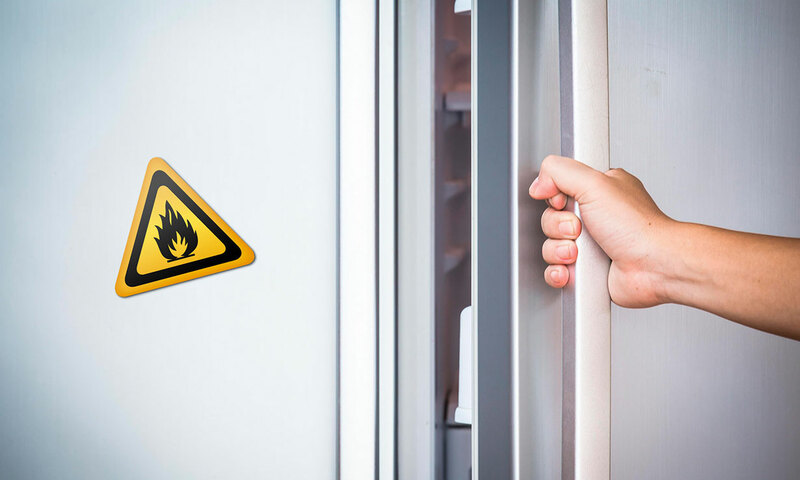 Despite our calls for them to be introduced earlier, stricter safety standards that will ban the manufacture of fridges and freezers with flammable plastic backs are not expected to come into force for several more months, so consumers remain at risk. The manufacture and sale of flammable plastic-backed appliances remains legal until the introduction of new safety standards, but we’re calling on retailers to put the safety of their consumers first and stop selling them now. Watch our video to see the difference that choosing a metal-backed fridge freezer over a plastic one can make in the event of a fire. All refrigeration appliances use flammable insulation to keep food cold. This is unavoidable, so it’s essential that the backing material that protects this insulation is sufficiently flame-retardant. But it’s often the opposite – as the video above shows. 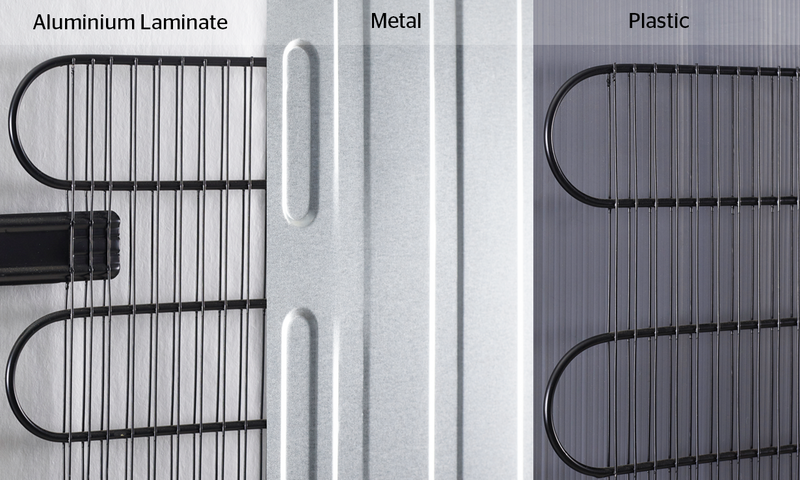 Use our checker tool to reveal the backing material of every fridge, freezer and fridge freezer we’ve tested. If you own a model with a flammable plastic back, be assured that refrigerator fires are rare. Our March 2018 research into government data found that only 8% of fires caused by faulty appliances were caused by fridge freezers, fridges or freezers. Although flammable plastic backing accelerates the spread of flames, it’s not the cause of fire itself. A fridge, freezer or fridge freezer can only be named a Which? Best Buy if it has flame-retardant backing and also excels in our cooling, energy efficiency and ease of use tests. Every major UK refrigerator retailer was still listing plastic-backed refrigeration appliances on its website when we checked on 21 January. AO.com had 173 plastic-backed fridges, freezers and fridge freezers listed on its site – more than any other major retailer. Currys PC World had 56 models listed as having plastic backing. John Lewis & Partners had three plastic-backed models listed. Since being approached with our results, each retailer has told us it now has fewer plastic-backed models listed. Some retailers told us that products listed on their own websites were incorrectly listed as plastic, when they’re actually metal backed. We believe there are still between 148 and 241 listings for plastic-backed models remaining. AO.com accounts for an estimated 113 of these listings, while Currys PC World has 16. There are 19 plastic-backed models at Argos, plus a further 93 models that were listed as plastic but are due to be changed to metal on the Argos website. John Lewis has told us it doesn’t have any and hasn’t sold any since April 2018. We test refrigerator backings by applying an open flame to the material for 30 seconds. Any product that can’t withstand the flame for 30 seconds is deemed unsafe and made a Don’t Buy. Every single model we’ve tested with a metal or aluminium-laminate back has passed our tests. Several brands, including Beko and Samsung, have flame-retardant metal or aluminium laminate backing on every model we’ve reviewed. Every fridge and freezer sold in the UK meets British safety standards. But the backing is tested with a hot wire, not a real flame, meaning flammable plastic is deemed safe because it melts rather than ignites. Don’t be fooled. In a real fire, the flammable plastic backing used on hundreds of fridges and freezes will accelerate the spread of flames. We’ve been calling for the introduction of a stronger standard, which uses a real flame like in our own tests, to be introduced as soon as possible, but we don’t expect to see it come into force for several more months. Retailers will then have additional time – possibly as long as a year – to sell through flammable plastic-backed stock. When the risk posed by flammable plastic-backed fridges and freezers has been so apparent for so long, it’s unacceptable that these products remain legal. Since details of the new standard were announced, positive steps do appear to have been taken by some manufacturers. 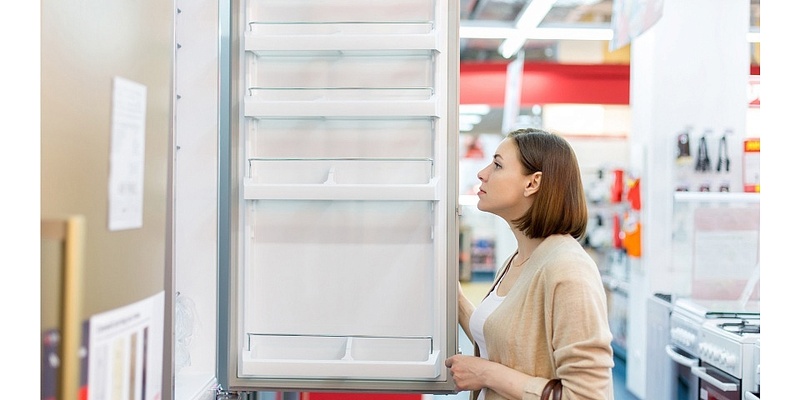 A majority of the most common brands on sale across the four retailers told us that they had already stopped making and supplying plastic-backed fridge freezer models to UK retailers. However, some failed to confirm that they had stopped supplying UK retailers with the products. Which? is now urging these companies, along with any other remaining manufacturers that are still supplying UK retailers with plastic-backed appliances, to stop doing so immediately. ‘We’ve repeatedly asked manufactures and retailers to stop making and selling these potentially unsafe products, which could put people’s lives at risk. ‘Most manufacturers seem to be keeping up their side of the bargain, but some retailers are dragging their heels. AO.com told us that 9.5% of the fridges, freezers and fridge freezers it sells are plastic-backed and that all meet current safety standards. It is working with suppliers to phase these out by July 2019. It has already halved the number of plastic backed models in its range and is constantly updating its website with information on the backing so that its customers can make an informed choice. Argos told us it offers a small range of plastic-backed products and that the vast majority are metal-backed. It said some models had been incorrectly labelled as plastic and were being updated on its website to make it clear for consumers. Currys PC World told us it has 16 plastic-backed product listings and all of them are end-of-line ranges. These 16 models comply with current safety standards and represent 2.1% of the total number of listings on the Currys PC World website. Currys PC World also said that all of its own-brand appliances are metal-backed and that the safety of a fridge depends on more than the type of backing used. John Lewis & Partners said it has not sold any plastic-backed fridges since April 2018. Two of the models we highlighted were in fact metal-backed and have been amended while the third was listed in error and has been removed. We checked the refrigeration listings on AO.com, Argos, Currys PC World and John Lewis on 21 January 2019. According to Global Data, these were the four largest retailers for this type of appliance in the UK in 2018. We looked at every fridge, freezer and fridge freezer on each site, from American fridge freezers to wine fridges and chest freezers. Every product listing was analysed, including any models currently out of stock. Any model either listed as having flame-retardant backing or with an identical model code to a model listed as having flame-retardant plastic backing has been excluded from our analysis. As of 7 February 2019, AO.com had 1,197 fridges freezers and fridge freezers listed on its site. On the same day, it told us that 9.5% of its range is plastic-backed, so we estimate this number to be approximately 113.